The Women’s Film Preservation Fund (WFPF) is the only program in the world dedicated to preserving the cultural legacy of women in the industry through preserving films made by women. It was founded in 1995 by NYWIFT in conjunction with the Museum of Modern Art. The WFPF’s goal is to ensure that the contributions of women to film history are not forgotten. To date the WFPF has preserved a remarkable spectrum of more than one hundred American films in which women play key creative roles. These include works by early feminists, women of color, social activists and artists that represent a unique and irreplaceable part of our nation’s cultural legacy. The films already preserved range from Barbara Kopple’s Harlan County USA (1976) and Cinda Firestone’s Attica (1974) to productions by pioneering early film directors Lois Weber and Alice Guy Blaché and experimental and animated films by Maya Deren and Mary Ellen Bute. Identify and preserve films in which American women or women from abroad working in the U.S. have played a significant creative role. Present these restored films publicly as a way to increase awareness of women’s contribution to the medium and the importance of film preservation. Contribute to enhanced knowledge of the important role of women in film history. Work with organizations with similar goals, sharing resources and information. Since its inception, the WFPF has provided financial support for preservation of over 100 short and feature films. WFPF awards cash grants, as well as in-kind post-production services generously provided by Cineric, Inc., to preserve or restore films in which women have played a significant creative role.We are committed to restoring and preserving films and footage that represent diverse voices, visions and techniques regardless of vintage. Genres include silent and early color films, experimental and independent films, and political and social documentaries. WFPF also preserves “orphan films”—forgotten or neglected films that have no clear copyright holder, obscuring the responsibility for preservation. Individuals and not-for-profit organizations (film archives, educational institutions, media arts centers) are eligible to apply for grants of up to $10,000. Grants are awarded annually. A panel of professional filmmakers, film historians, preservationists, curators, and educators reviews all applications and their selections are announced the following spring. See the grant guidelines. Women were part of the film industry from its inception, working on both coasts as directors, producers, and studio heads, as well as actors. Alice Guy-Blaché is considered one of the first people—male or female—to direct a narrative film. WFPF helped to preserve two of her shorts, Matrimony’s Speed Limit and A House Divided (1913) as part of its inaugural project. Mixed Pets (1911), Guy-Blaché’s earliest extant film from her studio Solax, was preserved through a WFPF grant in 2009, and screened, along with three other WFPF films, at the 2009 Alice Guy Blaché retrospective at the Whitney Museum. Our other inaugural project was the preservation of two films by Lois Weber, the 1913 short How Men Propose and the 1921 feature Too Wise Wives. The Women’s Film Preservation Fund would not exist with the support of our sponsors and in-kind partners such as: Cineric Inc.The Film Foundation, Kodak, The New York State Council on the Arts, The New York City Council and The New York City Department of Cultural Affairs. Apply for a WFPF grant. Spread the word through social media and word of mouth. Shop in our store for a piece of cinema history. Join the committee (email Kirsten and Anne at wfpf@nywift.org). Women were part of the film industry from its inception, working on both coasts as directors, producers, and studio heads, as well as actors. Alice Guy-Blaché is considered one of the first people—male or female—to direct a narrative film. 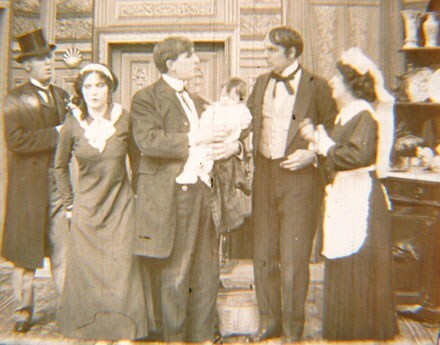 WFPF helped to preserve two of her shorts, Matrimony’s Speed Limit and A House Divided (1913) as part of its inaugural project. Mixed Pets (1911), Guy-Blaché’s earliest extant film from her studio Solax, was preserved through a WFPF grant in 2009, and screened, along with three other WFPF films, at the 2009 Alice Guy Blaché retrospective at the Whitney Museum. Our other inaugural project was the preservation of two films by Lois Weber, the 1913 short How Men Propose and the 1921 feature Too Wise Wives. 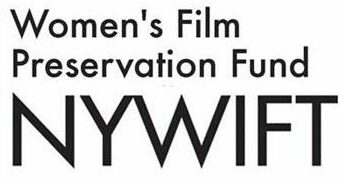 The Women’s Film Preservation Fund would not exist with the support of our sponsors and in-kind partners such as: Cineric Inc., The Film Foundation, Kodak, The New York State Council on the Arts, The New York City Council and The New York City Department of Cultural Affairs. Meet the team and supporters. Join the committee (email Kirsten and Ann at wfpf@nywift.org).